And so we say farewell to the annual birthday silly season. A month of food. A month of wine. A month long celebration. So how will I mark the end of the festivities? How will I start to repair my body? Could be nothing but Carrot Soup. 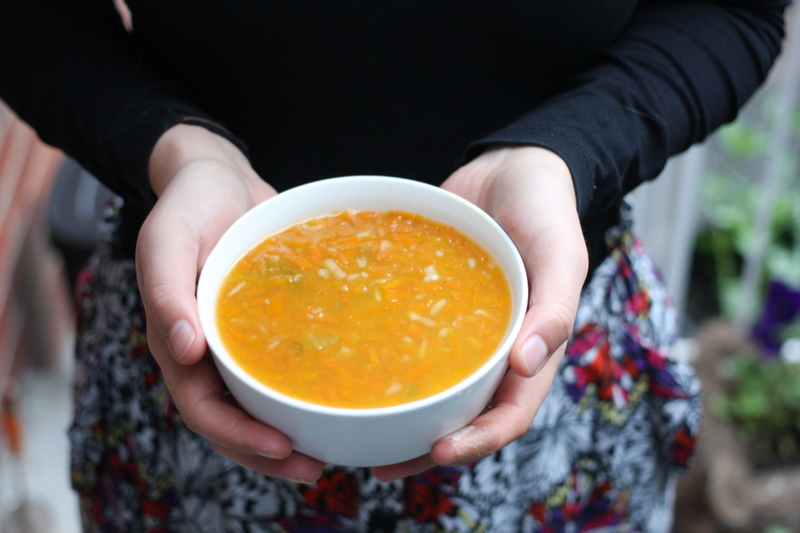 This soup is laughably easy, really tasty and feels like it’s good for you. Simmer vegetables in stock for 20-30 minutes. Add cumin, parsley, serve piping hot. No more steps. It’s that easy. You could blend the soup for a smoother texture, but I like mine a little chunky. This entry was posted in Main Course and tagged carrots, healthy, simple food, soup. Bookmark the permalink.